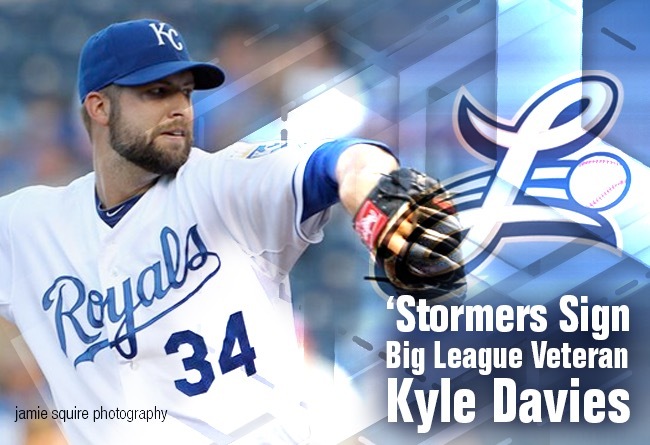 (Lancaster, Pa., March 15, 2019) - Right-hander Kyle Davies, an eight-year Major League veteran, has been signed by the Lancaster Barnstormers for the 2019 season, it was announced today by manager Ross Peeples. Davies, 35, becomes the 18th player under contract with the Barnstormers for the upcoming campaign and the sixth who has logged time at the big league level. The Georgia native signed with the Atlanta Braves in 2001 and reached the National League in 2005. In the midst of his third big league season, he was traded to Kansas City for right-hander Octavio Dotel and remained with the Royals into the 2011 season. His final Major League stint came four years later when he entered one game with the New York Yankees. Overall, Davies started 144 big league games, posting a record of 43-65. He authored three complete games. His best year was 2008 when Davies went 9-7 with a 4.06 for the Royals. Along with his big league organizations, Davies has spent time with the Toronto Blue Jays, Cleveland Indians and Minnesota Twins at the minor league level. His lifetime numbers with minor league affiliates are an impressive 76-48 with a 3.08 ERA. Davies pitched for the Yakult Swallows in the Japanese Central League in 2016 and missed 2017 before joining the Somerset Patriots in 2018. He was 6-8 with a 4.50 ERA for the first half Liberty Division champion Patriots last year.